So, you’re an avid biker, there’s nothing quite like weaving through country roads and enjoying the thrill of the ride. For years you’ve been trying to describe these moments to friends and family, but they’re just not understanding your passion! What do you need? An action camera! Designed for bumpy roads and challenging environments, an action camera can record those moments that words just can’t describe. You can relive all your thrill seeking moments as often as you want, and share the footage with whomever you want. But how do you know which camera is right for you? 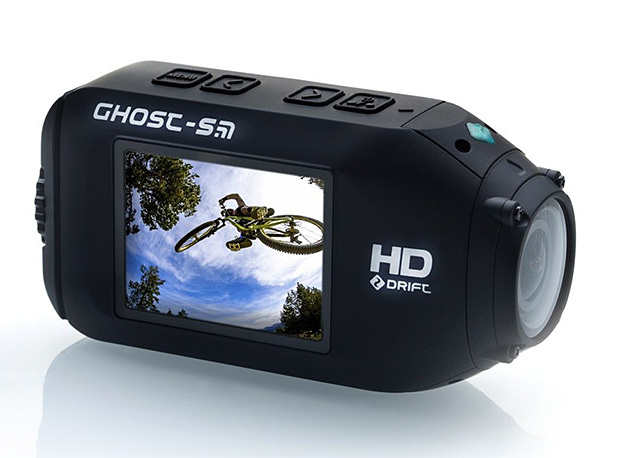 Here I will give you a list of the top 5 action cameras for bikers, it will give you an insight in to which action cameras are most suitable for fast paced, bumpy bike rides. Okay, we’re not off to a great start because this nifty little thing isn’t actually an action camera (don’t worry, the rest are!) Its sole purpose is to be a bike helmet camera, so it has limited functions but still does the job well. It’s made by Sena, who are known for making excellent products for bikers. It weighs less than 75g and is able to record for a whole two hours, operating in temperatures from -10C – 55C. It’s water resistant, though not waterproof and has a field of view of 125 degrees. It can shoot in 1080p, but unfortunately you can’t view the footage on the camera. It comes with a few accessories, including a mount, wired microphone and a USB cable. If you’re only looking for a bike cam then it’s a good choice. Pros: Small, lightweight, long battery life, mount included. Cons: Can’t take still images, no built in screen, limited functions. The Drift Ghost-S can record for a whopping 3.5 hours, making it one of the most powerful models in its class. It also delivers a full 1080p recording quality and can snap 12MP photos, with a 2” LCD display to view what you’ve captured. 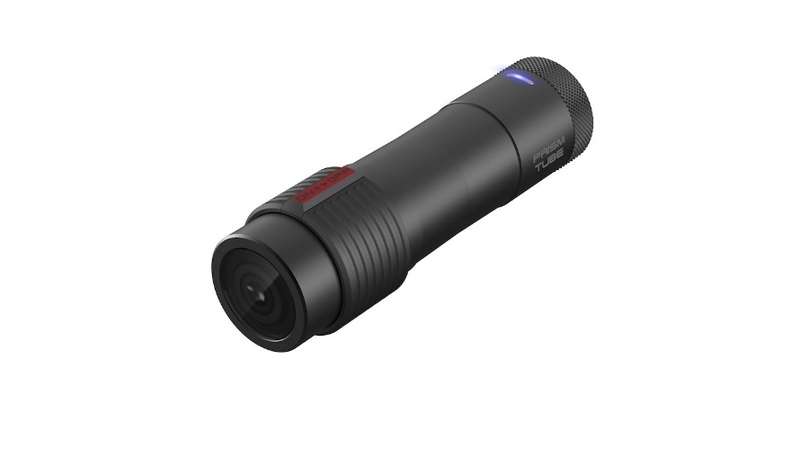 It’s waterproof up to 3m without housing and comes with a two-way remote, so you can control the camera remotely. Cons: Not the best video quality, LCD navigation isn’t great, pricey. Definitely the most popular brand when it comes to action cameras, which comes at a price. The GoPro HERO5 Session is a simpler version of the full featured GoPro HERO5 Black, and can shoot in 4K for just over an hour. It’s has a very durable design and is waterproof up to 10m without housing, which is beneficial if you’re caught in a sudden downpour. There’s no built-in screen so you’ll have to wait to watch your footage, and a mount will need to be bought separately. 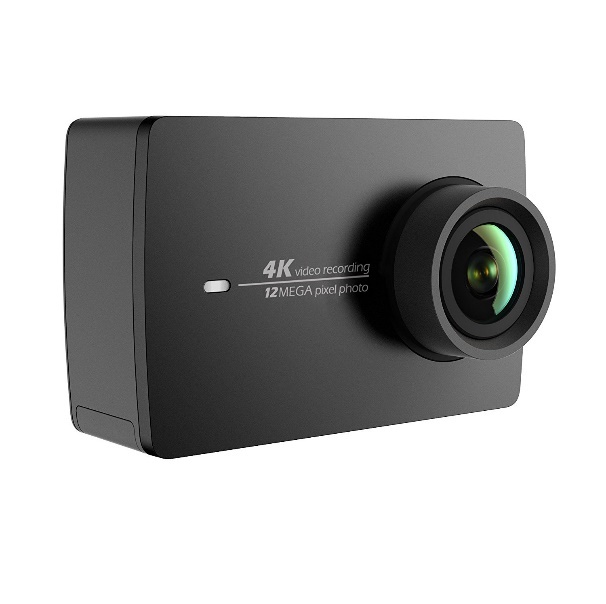 Pros: Durable, waterproof, 4K video. Cons: No screen, short battery life, pricey. 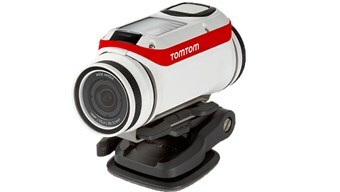 In at number two is definitely the best looking action camera and it’s made by the navigation experts, TomTom. It’s free mobile app is great if you want to get creative, which you can use to quickly edit your videos. Its quick-release clip means it can be mounted (and un-mounted) with ease. Being made by TomTom means it has GPS and motion sensors that can flag the highlights in your videos. It shoots in 4K, with a battery life of up to 3 hours (1080p), and another great feature has to be the ‘no wires’; users can remove the cap to reveal a USB that can plug directly into your computer to upload footage, and charge. Pros: Long battery life, no wires, GPS, strong design. Cons: No screen, no EIS, video quality could be better. 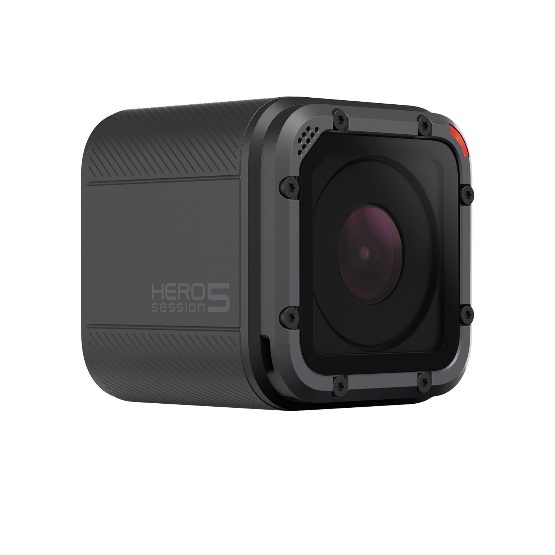 And in at number one…With the ability to record in 4K for 120 minutes and at almost half the price than the GoPro HERO5 Black, it has been labelled the ‘GoPro-Killer’. It wasn’t made for bikers, but it was made for thrill seekers, and with a SONY IMX377 image sensor it can capture your thrills with excellent image quality. Apart from the impressive battery life it also has an intuitive 2.19” LCD touch screen on the rear, and with a number of different settings, like time-lapse, photo burst and slow motion, you can get creative with your footage. I know you would as if this is a waterproof action camera, the camera itself is not waterproof and doesn’t include a mount, but you can purchase a waterproof case ($39.99) and mount ($9.99-$16.99) separately so you’re bike-ready.